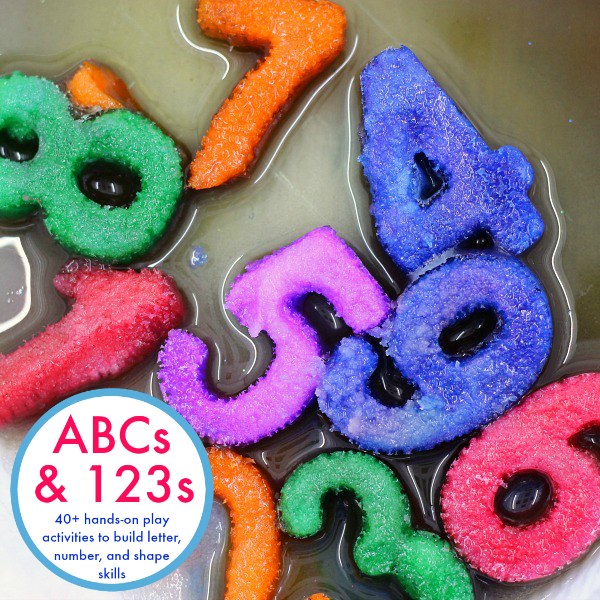 Since N has started to get interested in colors, numbers, and letters, I’ve been making more printables for toddlers and young preschoolers again (what some like to call “totschool”). 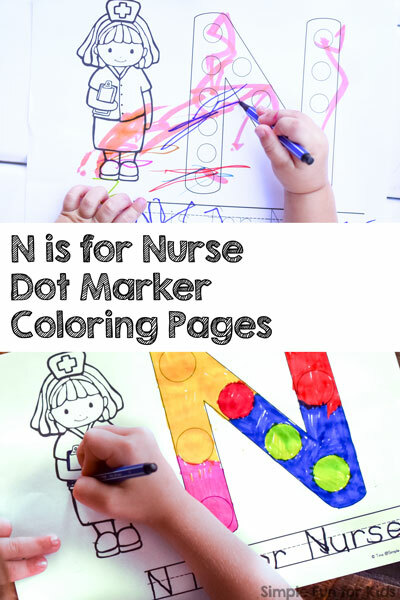 Today, I’m sharing some N is for Nurse Dot Marker Coloring Pages we’ve been working on lately. Four sheets of paper (if using all of the variations – see details below). The file has 7 pages and includes 4 different variations of dot marker pages. 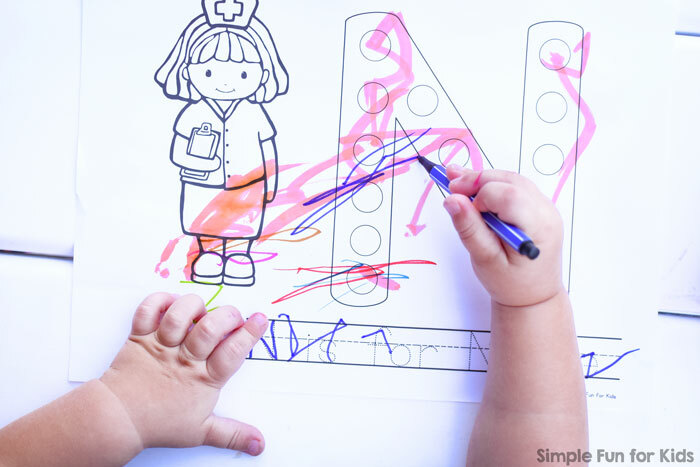 They each have a capital letter N with dots in the outline, an image of a nurse, and the line “N is for Nurse” at the bottom of the page for tracing, reading or copying. 2 variations are completely in black and white, while the other two feature a full-color nurse image. The variations differ in the number of dots that make up the letter N.
E enjoyed covering every little bit of the letter and nurse (she’s only halfway done in this photo). 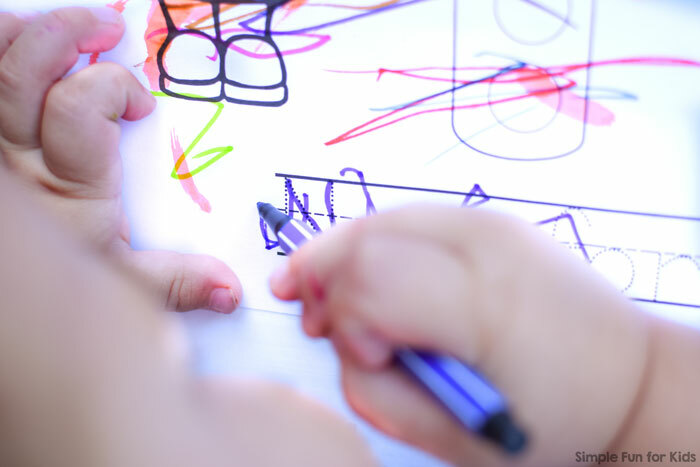 As expected, N did a lot of scribbles, but he did give the circles a valiant try when I guided him. He doesn’t have the fine motor skills to actually “dot” the circles. I helped him trace the letter N at the bottom and loved how he went on and tried his best to “trace” some letters on his own. 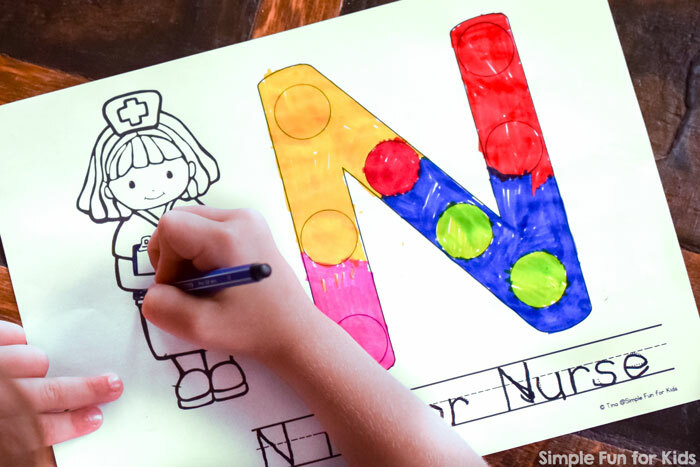 Download your N is for Nurse Dot Marker Coloring Pages! Nurse clip art is also included in my community helper printables: Community Helpers Emergent Reader Coloring Pages, Community Helpers Handwriting Practice, and Community Helpers Sight Word Puzzles. Community Helper Graphing Game uses matching clip art but doesn’t include a nurse.